10. The Lake Hotel - A gorgeous, luxurious hotel right on a lake in Killarney National Park. Rooms on the back of the building look out onto the lake as well as Ireland's tallest mountains. In April, there was even snow on top - the mountains are that high. The hotel is a bit on the pricey side, but offer many mid-week specials that are affordable and well worth the cost. They've got jacuzzi tubs in every room and a hot tub that overlooks, you guessed it, the lake and mountains. 9. Woodlawn Bed & Breakfast - Delightful, accommodating, and close to all sorts of stuff in Killarney. The walls may be thin, but the rooms are comfortable and the hot breakfast is delicious every morning. (I recommend the salmon scramble - scrambled eggs topped with smoked Irish salmon) If you need anything at all, the hostess is more than hospitable and can suggest everything from the best place to get a pint to the most reliable cab service. The prices are just right too and there's plenty of parking if you've hired a car. 8. Budget Car Hire (Rental Car) - Renting a car was the best decision I made while traveling around Ireland. Yes, they drive on the opposite side of the road, and Yes, the driver's seat is on the opposite side of the car, but it's doable. I was fortunate enough to be traveling with a Brit, so it wasn't difficult for her to adjust, but honestly, it's not that much of a challenge to get used to being on the opposite. Budget was friendly, reliable, and available all over Ireland (including a little shop right in Killarney Town Centre). 7. Mac's Restaurant - Good service, great food, and right in the center of all the hustle and bustle of Killarney Town Centre. The lasagna made with Irish beef and Irish cheddar (you get the picture) was melt in your mouth delicious. If you like dessert, they have scrumptious profiteroles made with mouth-watering fresh cream. 6. Murphy's Ice Cream - I have had all sorts of ice cream in my life, but Murphy's, made fresh from cream from Irish cows, is the absolute best I've ever had. They have some pretty unusual flavors, but that's what makes the place so special. My personal favorite was a scoop of Dingle Sea Salt topped with a scoop of Caramelized Brown Bread ice cream. 5. Muckross House - A beautiful, old "house" is an understatement when it comes to this place. We spent hours walking around through the gardens, buildings, and property. The gift shop there is tax-free for non-EU residents and has a nice selection of typical (or stereo-typical) Irish souvenirs. Go for the gift shop, but stay for the history. 4. Torc Waterfall - Normally I would complain about having a rainy vacation, but the rain prior to my visit to the Torc Waterfall was a blessing in disguise. All the water has to go somewhere and in this case, it was down the massive falls. There are trails all around the falls that take you pretty close to the water and then up above the falls (with a very high up view of the landscape). 3. 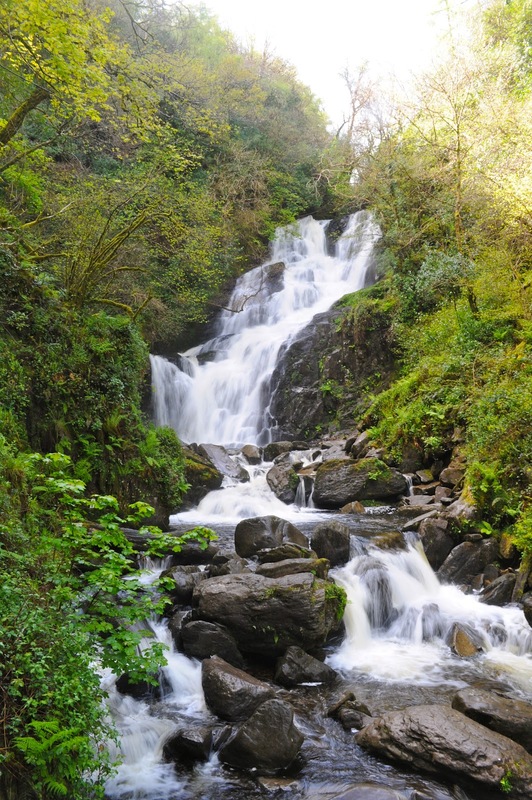 Killarney National Park - 20,000 acres of pristine wildlife, the largest national park in Ireland, and nestled in Killarney. It's pretty much impossible to not notice all the wildlife (fox, deer, birds, rabbits, etc.) that roam around the park. Walk, jog, ride a bike or horse (see below), drive your car (through certain parts), or take a jaunting car, anyway to visit this place, it will be unforgettable. 2. Killarney Riding Stables - Probably my most favorite thing from my trip to Ireland was going for a half-day trail ride through Killarney National Park with a small group from Killarney Riding Stables. I've been riding since I was 3 and the rest of the group was also advanced, so we were able to walk, trot, canter, and even gallop through open fields, overflowing streams, mud puddles, and herds of Red Deer, all while looking out onto gorgeous scenic views of lakes and mountains. Trips are available for all levels and the stable provides everything you might need including knowledgable guides. 1. Hussey’s Bar- A quaint, hole-in-the-wall, pub that you probably wouldn't notice except for the name. It was suggested to us by some Americans we met during our travel in Ireland. It's definitely a local hang out, but it's clean and nice and everyone was very friendly. Be sure to chat with the bartender Mike, if he's tending bar, and ask him about Michael Fassbender - they went to school together! Apparently, Michael likes to stop at Hussey's for a pint when he's back home to chat with his former classmate and friend. Be prepared though, if Mike thinks you're a crazy fan, he'll probably try to sell you a dirty pint glass that he says Michael used when he was last in. He warned me about his tourist money-maker while we talked over a sandwich at a table in the back. Maybe you'll be drinking a pint of Guinness and Michael Fassbender will sit down beside you! Veronica, thank you for sharing your Killarney adventure with us. I cannot wait, I will be heading off there in just 7 days. As Americans, it is not cheap traveling to Killarney, and although the influence to visit has a great deal to do with Michael Fassbender, many of us have always wanted to visit Ireland. When I was a big fan of U2 back in the 80's (when they were are their best), I wanted to MOVE to Ireland and marry an Irishman. And now, with my being such a huge fan of Fassbender, I'm at a point in my life where I can actually visit a particular town in Ireland, that formed the man that we adore now. If it weren't for a comment made by Fassygirl on her tumblr back in January, my Killarney plans would be different, and surely, not as much fun. So however unfortunate her snide remark was, it rudely disrupted prior plans, and ironically, made my current plans the better traveling arrangement for me. So people need to realize the time and financial commitment it takes someone to visit the area of someone they admire... it's like part history lesson, and part personal cultivation of the body, mind and spirit visiting a beautiful place like Ireland. @Simone - I popped up to Cobh during my travels in Ireland (it’s just an hour or so from Killarney) and was able to go to a U2 fan club meeting place. 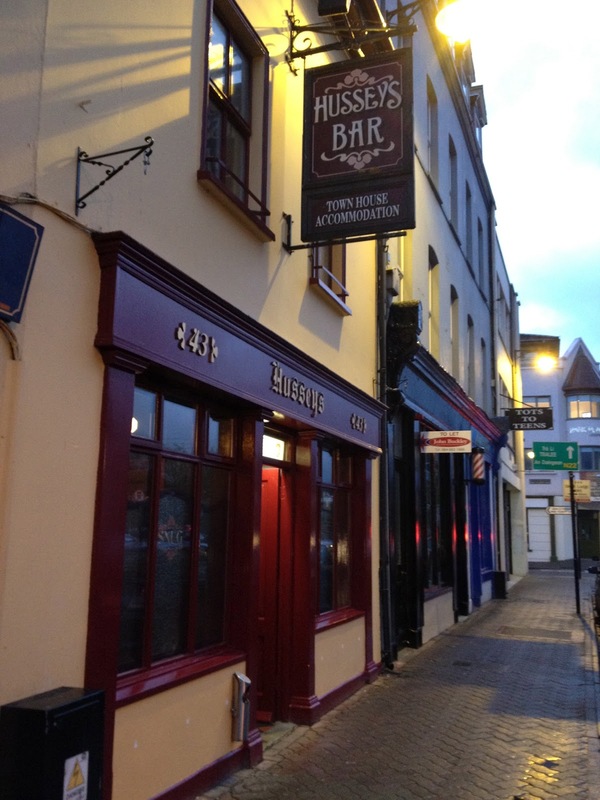 The Cobh fan club is called Electric Co. Maybe you can get the chance to check it out? @cellardoor - Glad you enjoyed the photos. If you want to see more, I’ve got plenty because I’m an amateur nature/landscape photographer. @Emmy - glad you learned so much! I really hope you get the chance to check out Killarney sometime soon. It’s truly a beautiful place with lots of adventures and possibilities. Well traveling in Ireland is like dream come true because this place have world famous natural beauty and the best thing about Ireland is their easy traveling by some rental travel mediums like coach hire Dublin which provides comfortable and affordable journey.